Looking for a Neat Getaway? Try this on for size! 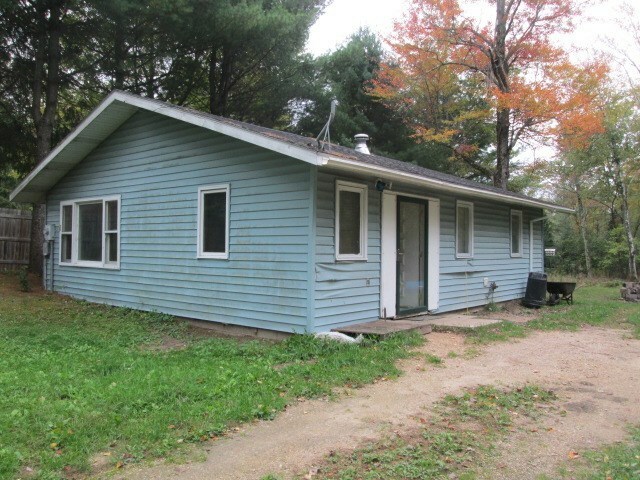 2 BR cottage or bachelor pad maintenance free and set back off the road on just under an acre. Abuts a Class A Trout Stream. Located on a dead end road and only 15 minutes to the Castle Rock Lake and Wisconsin River. Just 20 minutes north of Wisconsin Dells and 10-15 minutes to Adams-Friendship. Just needs someone's personal touches and your ready to go! Property is located in a Floodway. Priced to Sell! Call Today! Directions: Hwy 13 S To Evergreen Ave, Right To Evergreen Ct On Left To Property On Right.